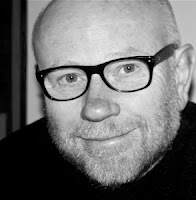 Genre-smashing author Peter Higgins recently “sat down” to have an interview with us at Nerds of a Feather. 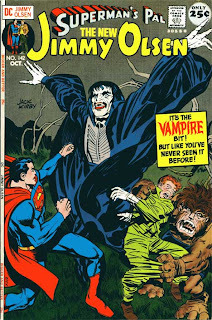 We discuss such wide ranging topics as his influences, writing style, and incessant love of vampires (despite the fact that he doesn't write about them). 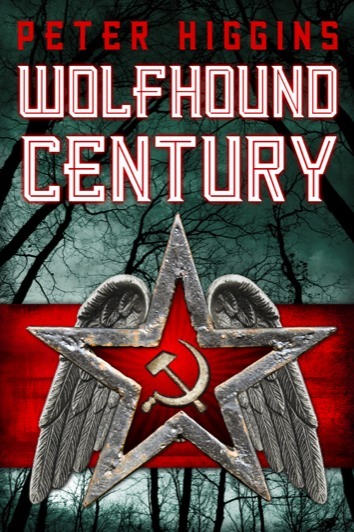 For those of you who don't know, Wolfhound Century is the first book of Peter Higgins's new series, one set in a Russian dystopia. It sets the stage for a riveting series that fans of dark fantasy, science fiction, thrillers, and even noir will no doubt enjoy. Check out our review of Wolfhound Century here. And enjoy our interview with Peter! NoaF: Your debut novel, Wolfhound Century, is truly genre-smashing. What have been your main influences as a writer? And how difficult do you find merging such disparate influences? PH: A whole heap of influences were at work when I was writing Wolfhound Century – from fantasy, science fiction, thrillers, history, folklore, the art and writing of the early 20th Century – but the one book that changed me from being a reader to being a writer was Gene Wolfe’s Book of the New Sun. I came to it quite late, and I vividly remember being completely bowled over by its ambition and richness. Reading it was like a door opening into a new place. It showed me there was no limit to what you could do with fantasy: there were no rules and no walls, no borders that couldn’t be crossed. When I was bringing everything together in Wolfhound Century, I found that the most important thing was to be absolutely clear about what each different element means for the story. It’s the story – the characters and the book’s immersive world – that matters, and everything needs to help and add to that. A thriller structure is a fantastic discipline: it focuses you on keeping the tension high and the plotlines moving, with plenty of threat and surprise. Once the story is in place you can open other windows and let different ideas and influences in – other kinds of writing, other ways of seeing the world – and hopefully the reader will relax and go with you and enjoy the recognition and the surprises. NoaF: What are your top three books of all time (in any genre), and why? PH: Only three? That’s a tall order, but okay. The books that have stayed with me the longest are the ones that took me absolutely by surprise when I picked them up, because they were doing so much more than I expected to find. They were fuller and richer and more extreme, they were crossing borders and going into territories I had no idea they’d go into. And every time I go back to one of them, it's changed and there’s something else to find. Apart from The Book of the New Sun (which I’m not counting again as I’ve already mentioned it) my list at the moment would include Charles Dickens’s Our Mutual Friend and Eric Hobsbawm’s The Age of Extremes: The Short Twentieth Century 1914 – 1991. I would also definitely want to find a place for Robin Hobb’s Tawny Man trilogy (counting that as one book), which grows in depth and complexity every time I think about it. NoaF: What inspired you to write Wolfhound Century? PH: At first I had an idea of writing an epic fantasy set in a northern/central European-like world, with endless dark forests and wintry Baltic shores, but every time one of my characters picked up a sword I felt someone else had already done it better. There were also questions rumbling away at the back of my mind: What's this about? Why does it matter? Where does its emotional and intellectual charge come from? When I got the idea of shifting the period of the story forward in time to the early 20th century, and suddenly the whole thing came alive for me. I realized I could keep the forests and shores and the mythic/fantasy creatures there, but the story could be done as a fast, focused thriller, there was a new wealth of art and literature and ideas to draw on, and a dark, cruel, extraordinary history to underlie it. The key inspiration, I guess, was seeing that all these things I’d been interested in, but that I’d been keeping in separate mental compartments, could all be brought into the same world together and draw energy from one another. 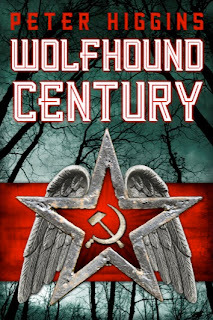 NoaF: The Russian and Soviet historical influences on Wolfhound Century are hard to miss. What gave you this interest in creating a Soviet dystopia? And how important was extensive research in producing a believable world? PH: Well, I’m a child of the Cold War: I grew up in the shadow of the four minute warning, mutually assured destruction, looking out of the window and really fearing the bright flash on the horizon. I remember imagining what it would be like to have been born on the other side of the Iron Curtain. There was this awareness of Russia as an inaccessible and threatening but also mysterious and intriguing 'other place.' All of that went very deep. The research was hugely important for Wolfhound Century. I came at it from lots of different directions: novels and poetry and memoirs, films and art and music and propaganda, folklore and wildlife and food and photographs. I dug out a 1914 Baedeker’s travelers guide to Russia, which was fantastically useful about things like transport and money. Russia wasn’t the only source: I also used a lot of material from Germany, Finland, and central Europe generally. I wanted the world of Wolfhound Century to feel as authentic as possible, with a strong sense of atmosphere and place, so that the characters’ emotional world would also feel real. But very little research found its way into the book unchanged: it’s skewed and twisted and re-imagined. Wolfhound Century isn’t a straightforward re-creation of a historical place or period: one of its underlying themes is that history isn’t fixed, that there are lots of possibilities in play at any moment, though totalitarian regimes try to force people to accept that their view of history-as-destiny is inescapable. NoaF: What were the easiest (and most difficult) character perspectives to write? PH: I think the easiest – certainly the most fun to write – were the bad guys. Bad guys, in essence, do what they want. They’re absolutely clear about their motivation, and they express it to the absolute maximum, without doubt or self-questioning. As they grow as characters, they become crueler and more dramatic, more certain, more daring. Writing about the ‘good guys’ is more complex, because they haven’t chosen their path: they’re thrown out of their normal lives by extraordinary events and sudden, unexpected danger. They have to make choices, and those choices have painful consequences, for themselves and those close to them. They have to do extreme things to survive, and in one sense they necessarily become harsher and more desperate, but they also learn new things about themselves and grow larger and deeper as people, as their sense of the world and their place in it changes. Of course, there’s always the possibility – history is not fixed – that a protagonist might lose spirit or turn cruel, and a ‘bad guy’ might just grow over time into something else. NoaF: I found the entities that populate your world intriguing. Wolfhound Century includes fantastic beings as giants, the golem-esque mudjhiks, sentient rain, and angels (and "angel skin") intriguing. What influenced you in this aspect of your world creation? PH: This is a world in which the things you find in the folklore and literature of Russia and Scandinavia and central Europe are real, and part of the experience of the people who live there. Again, I’ve twisted and re-imagined and added ideas from elsewhere, and not everything ‘belongs’ in that world: the angels, for example, are very much intrusions from outside, in every sense; disruptive alien incursions. And I’ve also – of course – been inspired by the fantasy and science fiction tradition. Mary Gentle’s Ash: A Secret History, for example, is definitely a candidate for my top books list. NoaF: I appreciated how morality is relative in your world, which is not witnessing a fight between good and evil. Instead, the two sides are struggling for their share in the emerging order. I would love to hear your thoughts on the increasingly gritty, complex morality found in recent books in the genre. PH: I’d say that complex morality has always been there, in the most interesting books in the genre (I’m assuming you mean fantasy here). But one of the things that is, I think, relatively new is the darkness and violence and general muddiness of some of the worlds being created, which for me is a very interesting and creative development. As I read it, it’s reflecting a desire to clear away some of the pre-packaged expectations of fantasy writing, look again at the established conventions, and uncover some of the troubling uncertainty that those conventions papered over. If you take the clear structure of good and evil out of fantasy, there is a risk of descending into gratuitousness or whimsy, but I personally haven’t come across much of that. I love it that non-human figures – elves, vampires, wizards, for example – tend not to bring a clear and familiar good/evil framework with them into a story. It’s better that they’re nuanced, strange, different, other, and it’s up to the writer, the characters, the reader, to build a new framework of morality around that. Each book has to do that work afresh, for itself: and in doing so, it implicitly or explicitly challenges and re-imagines the classic books that went before. There’s no Gandalf or Council of Elrond to clarify what’s good and what’s evil, appoint a hero and give a quest the weight of collective sanction and authority. Setting out to change your world is an uncertain, personal decision: stepping away from the crowd and taking risks in the dark. I would add, though, that good fantasy writing has always done that, and today’s established conventions have their roots in the most successful of yesterday’s brave creative adventures. It’s striking that, for me at least, the emergence of new takes on the fantasy genre hasn’t undermined or diminished the more ‘traditional’ kind: if anything, the opposite. One of the great things about the way genres develop is that good new additions somehow also enrich the predecessors they build on. NoaF: George R.R. Martin has talked about two types of writers--architects or gardeners. Whereas architects make extensive blueprints and plan everything out, gardeners dig a hole, plant a seed, and see what pops up. Which type are you, an architect or a gardener? And what difficulties have you encountered (owing to your writing type)? PH: I’m not sure I’d go with that distinction: it feels to me that a book is a building made entirely of gardens. I start with a plan, but every part of it keeps growing and changing or dying and affecting every other part. The thing that scares me most about writing is getting part of the way through and running out of road. That used to happen to me a lot, until I learned never to start without a plan. The story doesn’t keep to the plan, because the characters take over, but the thing to do then is change the plan, not abandon it. And for me, finishing the book is only the first stage. I do a lot of editing: editing can be the most fun, and the bit where some of the best work gets done. NoaF: Do you have any advice for aspiring writers? PH: That’s really hard to answer, because everyone needs to hear different things at different times. You make some progress, then you hit a problem and you have to figure out how to get past it. I’ve found that moving on usually depends on unexpectedly picking up some scrap of an idea from somewhere – a hint of a new way of looking at things – something you've heard before but hadn't really understood. One thing I would always say, though, is, cast your net widely, and don't only study other writers: you might pick up the hint you need from musicians, painters, animators, actors, video-game designers, anybody who's trying to do anything creative, whatever the form. NoaF: Roughly when can we expect the next installment of the series? PH: The next part, Truth and Fear, is coming out early in 2014. NoaF: Last Question. Vampires, Werewolves, Zombies, Aliens, or Robots? PH: Vampires, no hesitation: beautiful, cultured, hunted, lonely, cursed; brilliant exiles doomed to outlive their time, suffering the knowledge of their own cruelty and the pain of passionate, impossible love. My first proper encounter with a vampire was when Superman met Count Dragorin in Jack Kirby’s Jimmy Olsen #142, ‘The Man From Transilvane’. I keep a framed copy on the wall by my desk. Dragorin’s dangerousness, sadness and dignity got under my skin and the feeling’s never left me. NoaF: Thank you so much, Peter!